Lock in a great price for NH Madrid Nacional – rated 8.6 by recent guests! Lovely staff, the restaurant downstairs was fantastic, fresh high quality food. Bedrooms were Spotless, great size and lovely bathrooms with two shower types. Location was great, lots of restaurants nearby, easy to get to the main shopping areas and tourist locations. Couldn’t fault our stay. Will return to NH Madrid Nacional. Room is clean and has a private bathroom. 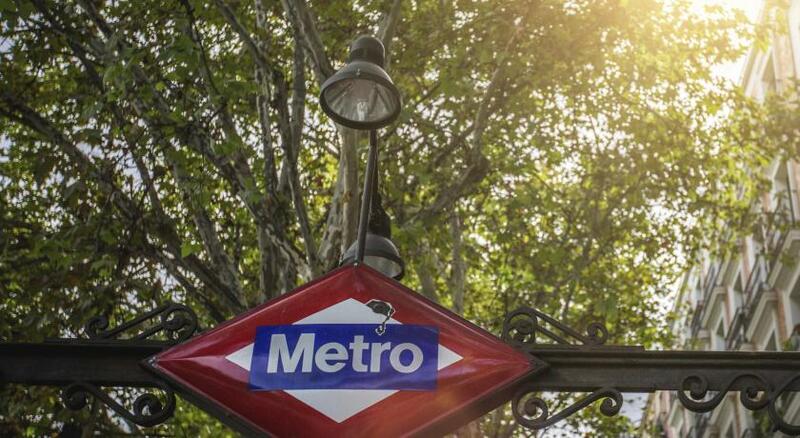 Location is great, 10min to Atocha and 7min to metro. Quite a lot fast food options around, KFC McDonald's and burger king all just 7min walk aroumd. Breakfast is great! Breakfast was delicious and bountiful. Location was great for museums, history, and generally, looking around. Staff was helpful. I needed to receive a package and left another to be picked up after I left and both were correctly managed. 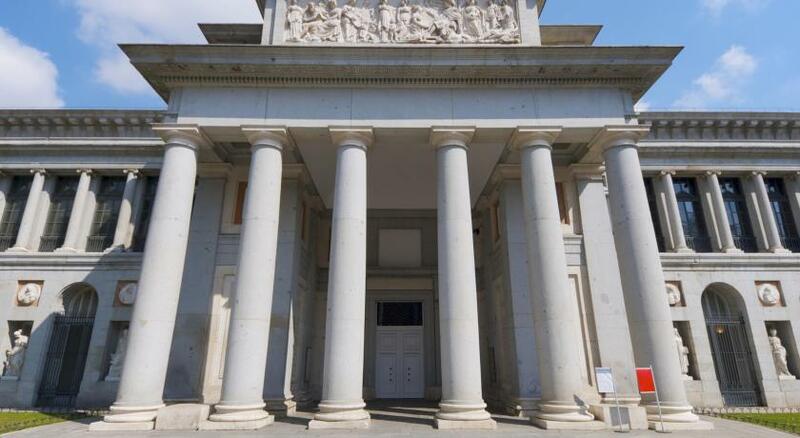 You can’t beat this location- in front of the hotel is The Prado and the park, in back is the Reina Sofia museum. Step out the door to taxis, buses and the train station. The room was spacious and comfy. There is a very good breakfast buffet with the option of having eggs cooked to order, plus a restaurant is in the lobby. Nice staff. Great breakfast and awesome views from rooms at eight floor. Around 8 mins walk to the train station. A good place if you want to be close to the train. NH Madrid Nacional This rating is a reflection of how the property compares to the industry standard when it comes to price, facilities and services available. It's based on a self-evaluation by the property. Use this rating to help choose your stay! 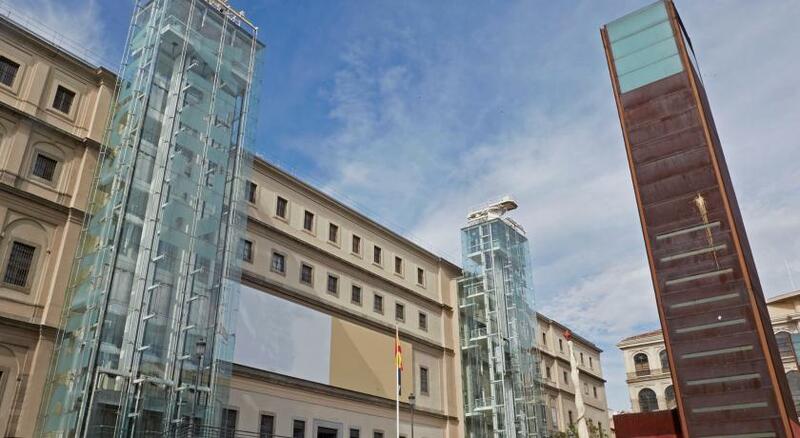 One of our top picks in Madrid.NH Madrid Nacional is set in Madrid’s famous Art Triangle, 500 feet from Atocha AVE Train Station. 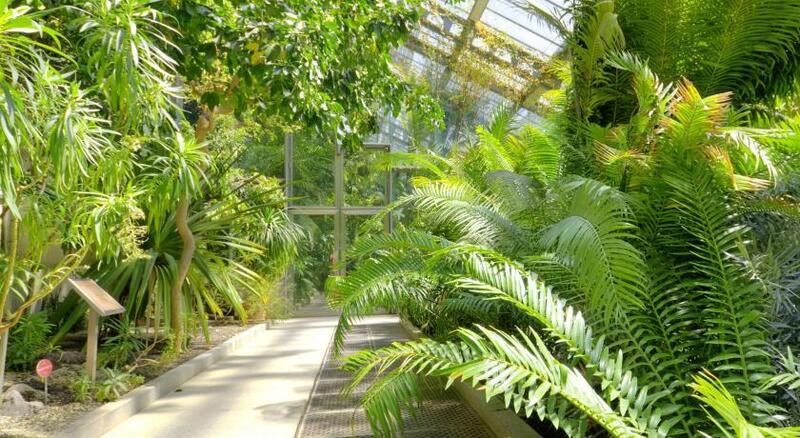 Set in a historic building with original features, it overlooks the Botanical Gardens. All air-conditioned, soundproof rooms have free WiFi, a pillow menu, flat-screen satellite TV and a mini-bar. The private bathroom comes with a rain-effect shower, hairdryer and free toiletries. The NH Madrid Nacional serves breakfast in the restaurant which offers great city views. A wide selection of local dishes and wines is available in Tablafina Restaurant and Bar located in the lobby. Room service is also available. There is a 24-hour front desk, and you can hire a car from the tour desk. Parking is available on-site for an additional charge. When would you like to stay at NH Madrid Nacional? These modern, soundproof rooms include air conditioning, flat-screen satellite TV, a mini-bar and a pillow menu. The private bathroom has a rain-effect shower, hairdryer and free toiletries. Offering views of Atocha Square and the Botanic Garden, these modern, soundproof rooms include air conditioning and a Nespresso coffee machine. They also come with flat-screen satellite TV, a mini-bar, kettle and a pillow menu. The private bathroom has a rain-effect shower, a professional hairdryer, slippers, bathrobes, and free toiletries. 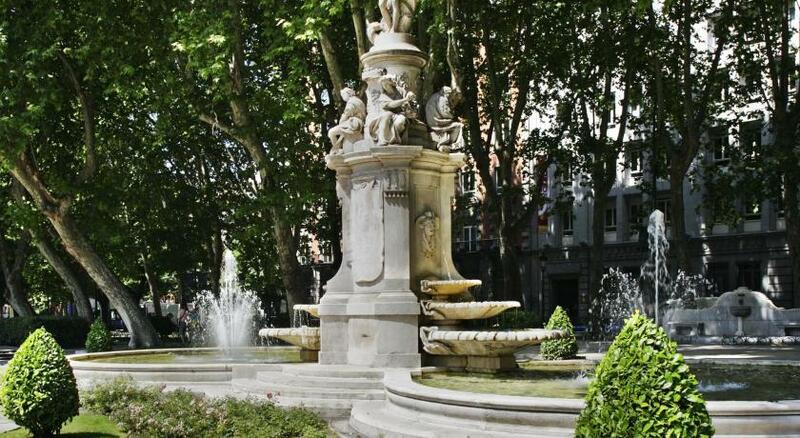 The hotel has a central spot on one of Madrid’s most prestigious avenues, the Paseo del Prado. It’s in the Art Triangle, home to 3 world-famous art museums. The 1920s building itself is beautiful too. We have a restaurant specializing in Mediterranean cuisine, together with an elegant bar. House Rules NH Madrid Nacional takes special requests – add in the next step! NH Madrid Nacional accepts these cards and reserves the right to temporarily hold an amount prior to arrival. Please note the hotel restaurant is closed during the month of August. Reception looks good, staff is very helpful and breakfast is sooooo good. Glass door on toilet. Poor internet connection. location, cleanliness, and very nice staff. The air-conditioning and the fridge wasn’t working. That said, the staff did offer to move us to another room without view but with air conditioning. Good location, modern and new hotel. Room has NO toothbrush toothpaste and electric kettle and to have them you need to upgrade to superior room. 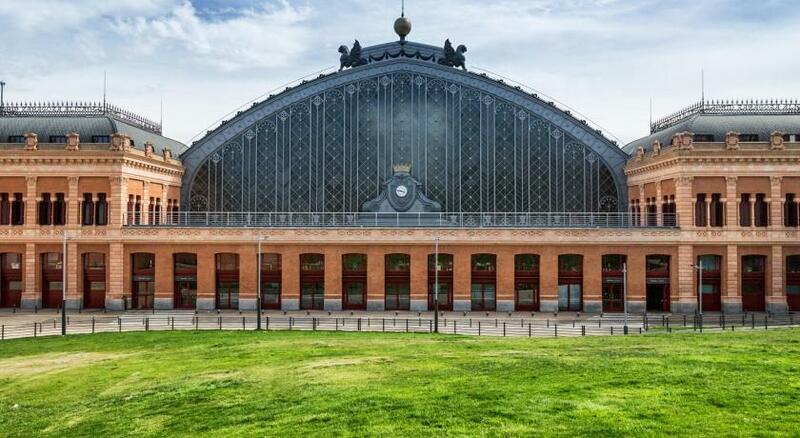 It is just only 5 minutes walk to Atocha station. Seriously, the room doorknob was too big and slippery for my hands. Several times I felt like I was locked in or out of the room because it was so difficult to turn the knob. The shower controls were odd and very difficult to figure out. Nothing labeled. the front window of the hotel frontage had been broken so not the most welcoming frontage. the lifts were very slow !